Order your Holiday Wreath today & pick up at the Special Thanksgiving Farmers Market Sunday, November 18th from 10:00 am - 2:00 pm! Fresh-cut and easily lasts well into the new year. These wreaths make a perfect gift for your holiday host too! We're offering 24" fir wreaths with pencil cedar, juniper, and pine cone accents +red bow for $25. We also have a 4' wreath available for larger displays. Great for a business or on a gable! Price for the 4' wreath is $70. 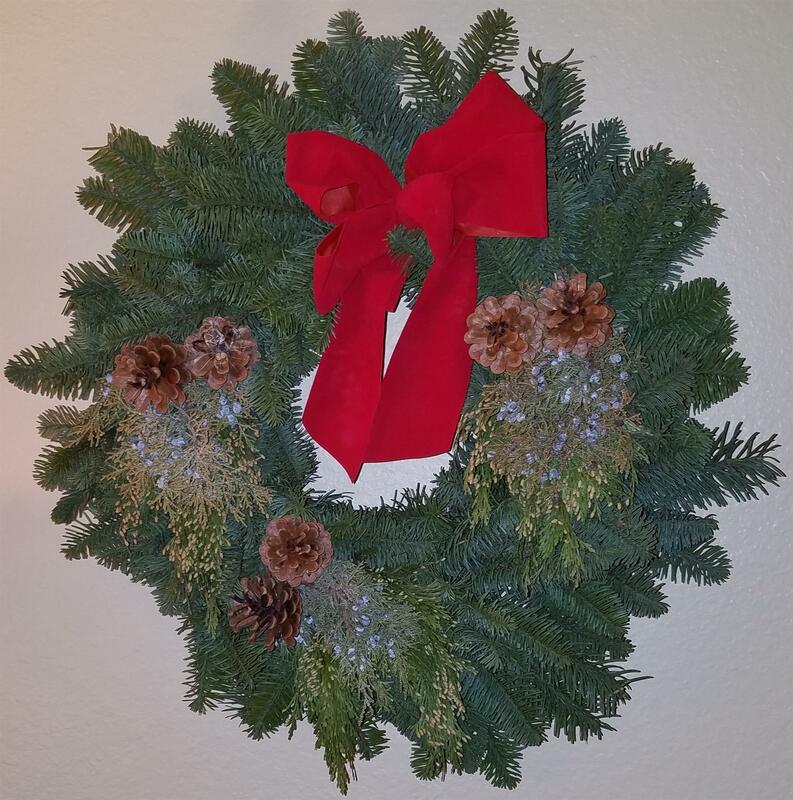 All fresh-cut Holiday Wreaths made locally by the Gentry family in Boring, Oregon. With your help, we can make lives better in your community & around the world. The Rotary Club of Milwaukie, Oregon provides a variety of Local Community Services projects; Supports Global Community Service projects worldwide; Promotes Local Peace-building efforts; and provides 2 Annual Scholarships to our local High School Students. Order your fresh-cut holiday wreaths today!